In this activity, users must decode a scientific quote that has been encoded by the computer. The computer will generate an "alphabet" (either random or rotated) and then substitute every letter of the real quote with the computer generated alphabet's letter. 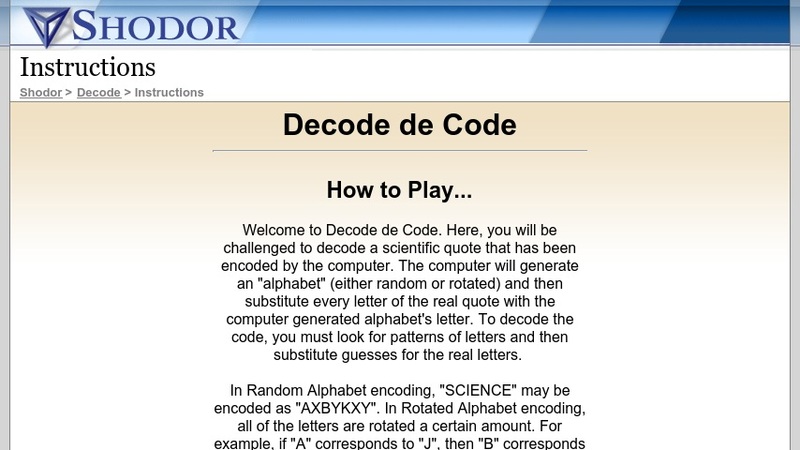 To decode the code, you must look for patterns of letters and then substitute guesses for the real letters.